We have over 10 000sqm customs bonded warehouses and general warehouses, located throughout mainland China’s important international port cities, including: Beijing, Dalian, Guangzhou, Qingdao, Shanghai, Tianjin, Jinan, and Xiamen. We have more than 100 customs brokers throughout the country offering services in 50 international ports. Due to our good reputation with Chinese customs, we provide efficient and flexible customs clearance services for our clients. ・Well designed racks and shelf construction. ・24 hour CCTV surveillance system and infrared alarm system. ・Fire-fighting equipment and sprinkler systems. Storage space for general cargo, bonded cargo, constant temperature cargo, refrigerated cargo, as well as other storage needs. ・Customized inventory management services, including: handling clients’ sales orders, check-in/out management, loading/unloading, product returns management, and others. 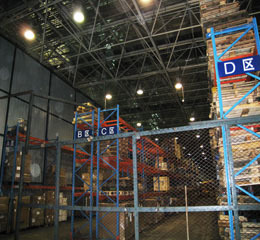 Value-added services: distribution, sorting, label and barcode management, packing & crating, and others. 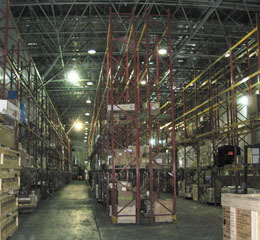 Seamless integration with inland and international transportation and distribution service.